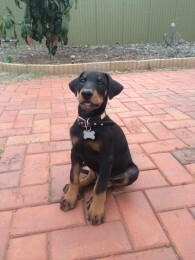 Prada Doberman puppies have gone on to be wonderful companions, security and guard dogs for families all over Australia. 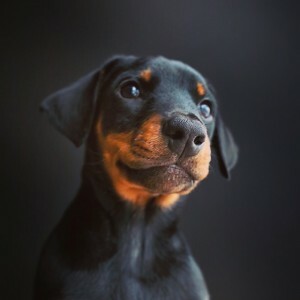 The Doberman pups we breed have exceptional qualities and are high in demand. Please contact us as soon as you have decided that this is the breed that will best fit your family. 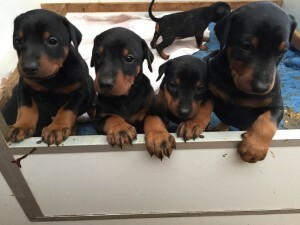 If we cannot help you secure a puppy from a current litter of doberman puppies we will place your name on a waiting list from our next planned litter of doberman puppies. We also welcome enquiries from all over the world. 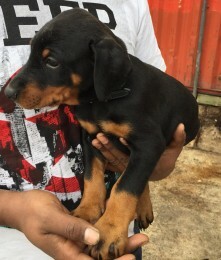 We do export Doberman puppies abroad.